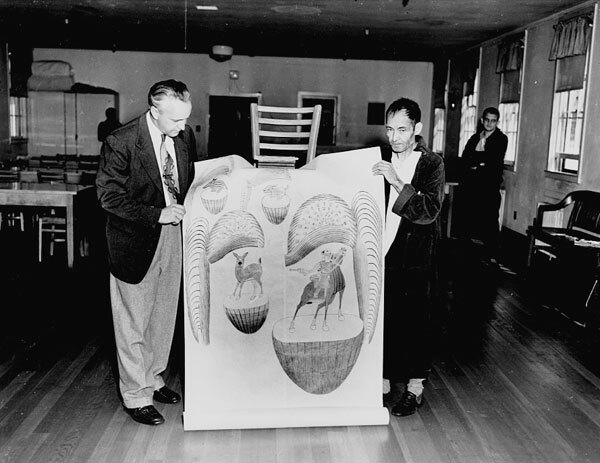 Among the many great and sad stories in folk art is that of Martin Ramirez, a man born in Mexico in 1895 who came to the United States as a young man to work on the railroads. The work proved too demanding for the small man and he soon was in despair, losing the ability to speak at that time as well. He was diagnosed as a catatonic schizophrenic in 1930 and lived the rest of his life in mental health institutions until his death in 1963. Exhibiting a kind of iconographic vocabulary, Ramírez’s lovely drawings limn deep, vertiginous spaces through rhythmic repetition, disorienting perspectival shifts, and stagy composition. A mythic presence suffuses the animal, human, landscape, and abstract aspects of the work, all hemmed in by vibratory channels and warrens. A master of line and compositional control, Ramírez used graphite, melted crayons, and found pigments on paper fragments glued together with saliva and oatmeal. He also included collaged elements drawn from magazines and books. 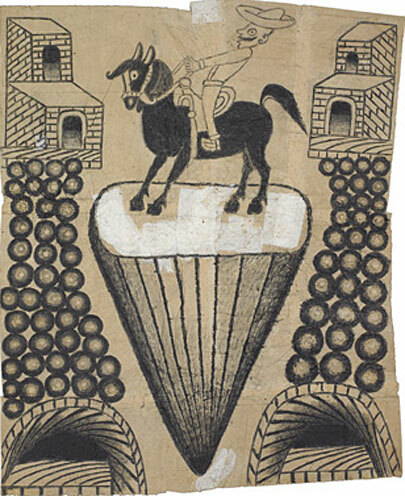 Recurring motifs in the work include mounted and armed jinetes (horsemen)—Ramírez was fond of horses and an equestrian back in Mexico—Madonnas, trains and tunnels, cars, and landscapes. Vernacular Mexican and American cultural themes and visual tropes, both nostalgic and resolutely modern, combine in a body of sensuous, dream-like images. In the 1950’s, Ramirez’s work was discovered by visiting art psychologist Tarmo Pasto who asked that he be allowed to keep any drawing that Ramirez produced. Apparently, many pieces had been discarded over time in order to keep the ward clean. 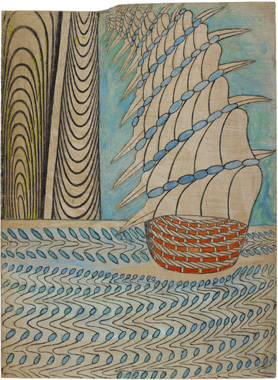 Pasto championed Ramirez’ work and made it possible for the world outside those sanitarium walls to see the creations of this man whose mind seemed to transcend his captive life. 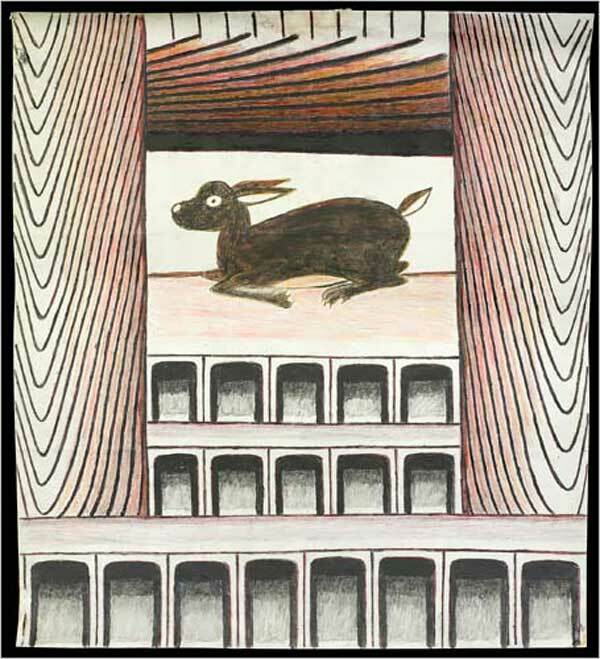 In the years since his death, the works of Ramirez have become some of the most prized in all of folk art and have been the subject of several exhibitions in major museums. I have never seen these works in person but am struck, even seeing mere images of them, by the almost trance-like rhythm of the patterns and imagery in them. There is a beautiful grace in them that is only enhanced in knowing the story of this man’s struggle through his life. It’s as though Ramirez was creating in his work, portals of release for a captive soul, a new world in which his inner mind finally jibed with the outer world. That is how I choose to view it in that I find the work filled with an almost idyllic harmony. Postcards from a better place? Perhaps. Whatever the case, it is a gift to us from a world we may never know.